A U.S. Navy aircraft flying over the South China Sea received an alarming series of warnings from China. While providing an exclusive tour to CNN, the Navy P-8A Poseidon reconnaissance plane flying over the disputed South China Sea received six warnings from the Chinese military, CNN reported Friday. The message warned the U.S. Navy aircraft that they were in Chinese territory and urged them to leave. “Leave immediately and keep out to avoid any misunderstanding,” a voice said over the intercom. 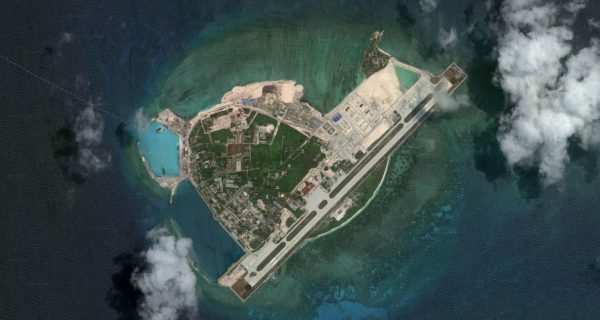 CNN gets rare access on a US military surveillance flight over disputed islands in the South China Sea, where China has built up extensive military bases. 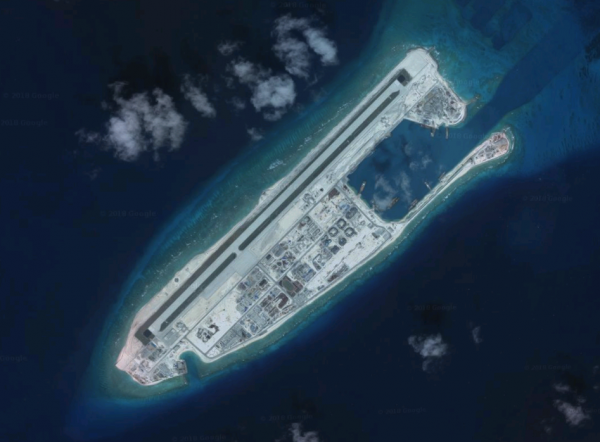 On one island alone, the U.S. aircraft’s sensors identified 86 Chinese vessels. On another island, a series of hangars were positioned along an extensive runway. CNN was aboard the aircraft to get a first-hand glimpse of China’s rapid militarization efforts in the South China Sea. The Chinese government maintains claims to areas of the South China Sea, which they assert have been a part of the country throughout history. As a result, they have deemed it necessary to expand their military presence to protect what they claim to be theirs. Chinese President Xi Jinping vowed to former President Barack Obama in 2015 that China would not militarize the disputed islands. However, since 2016, they have aggressively gone against this vow. Over the past two years, significant militarization activities have taken place, including fortifications with airfields, radar equipment, and even missiles. China’s “nine-dash line” signifies the territory they claim in the South China Sea, where approximately one-third of global sea transports pass through. The line stretches over 1,000 kilometers from the southernmost Chinese land, and consumes almost all of the ocean that touches Vietnam, the Philippines, Taiwan, Indonesia, and Malaysia. Cmdr. Chris Purcell, leader of the Patrol Squadron Four that led this week’s mission, noted that the U.S. has been conducting these observation and patrol flights for over five decades to ensure international waters remain open. A Chinese government-owned media outlet, Global Times, responded on their website to CNN’s report in which they accused CNN of snooping on Chinese military activity for the U.S. military, and praised Chinese military for driving the U.S. away.